I’m definitely not a real cowgirl, but I can definitely hop on that western trend! Denim, cowboy boots, and suede. It’s all so good! I’ve picked some of my favorite pieces throughout this post and they’re all under $100! But the thing about trends is sometimes they’re here one minute and gone the next. I guess that’s why they’re trends. With that, I find it hard to invest in these pieces and really like to capture the trend on a budget. I found these cowboy boots at Target, and it’s safe to say I’m obsessed. For $30, they’re also surprisingly comfy. 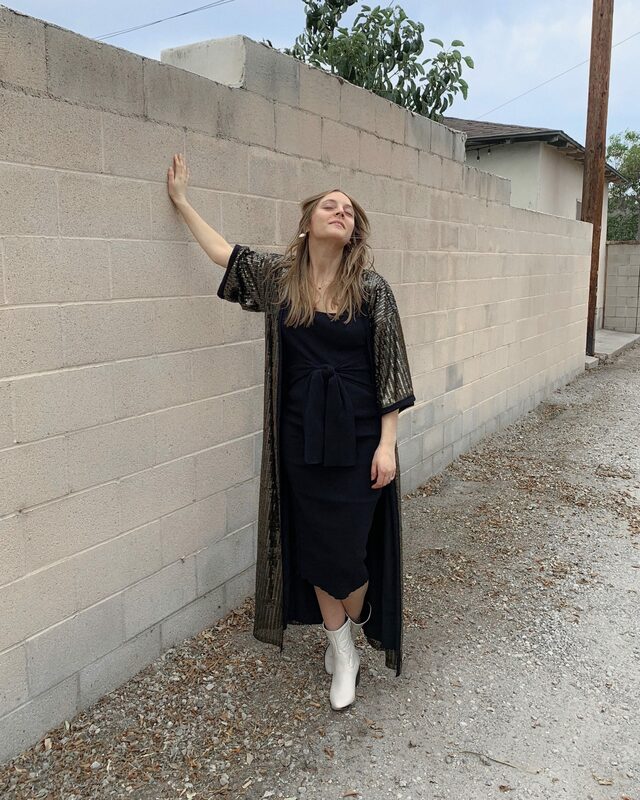 I went western glam by styling them with this sequined kimono and an easy black midi dress. They also look super cool with a pair of slouchy jeans tucked into them.